Over the last year, our writers have tested a bucketful of bikes, a barn load of clothing and gear, and attended a bookcase full of cycling events. Which of these, though, have tickled their fancies enough to warrant the bestowing of a coveted Singletrack Editors’ Choice Award? Over to Hannah to announce the winners of her four awards! I started out the year with a lingering whiplash injury, caused when trying to be a bit more rad. After six months or so of careful riding over largely unchallenging terrain, the muscles finally eased and I was free to get a bit loose on the bike. Perhaps making up for lost time, I set about riding everything I could get my hands on – including a highlight-of-the-year tandem ride with Chipps – as well as finally learning to jump, and buying a BMX. I even did a few things that might be considered ‘tricks’. My bruised and scarred shins might disagree with me, but I think this has been a good year of bike fun. What’s next? On paper this isn’t any of the things I would put on a fantasy wish list of bike requirements, and yet somehow it’s the bike I really enjoyed this year: the Intense Sniper – a short travel cross-country racer, sort of. 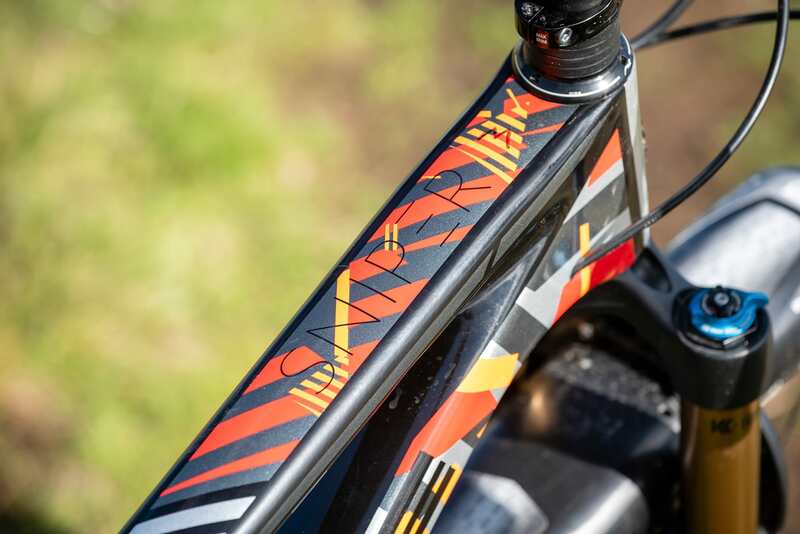 Sort of because it’s slacker than a race bike ‘should’ be, but in other respects – weight, ride position, ability to fly at the speed of light – it’s a race bike. Not that I’m a racer, but I can appreciate the joy of turning a pedal and it turning into propulsion, almost like I’m actually lithe, strong and fit. Not only was this bike responsive, but it was also comfortable and confident, and I found myself taking it down a series of jump lines that it probably wasn’t designed for, but which it happily skipped over. 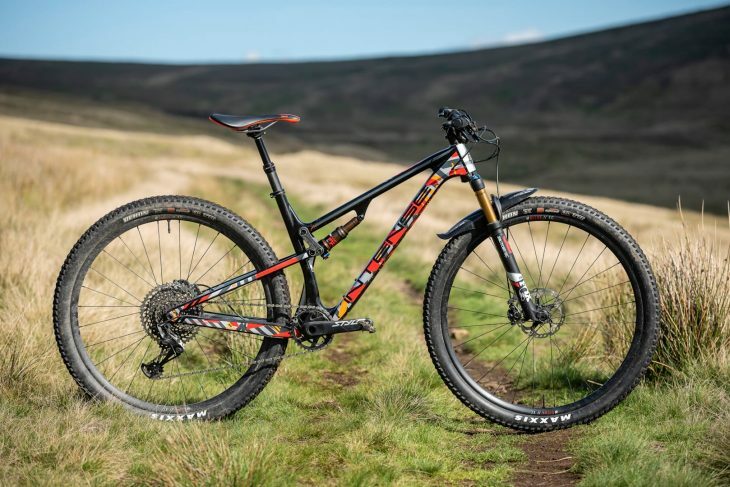 With handling much more akin to a trail bike, but without the weight, it’s a bike that offers loads of fun, will let you tackle plenty of trails, but won’t have you dragging excess weight and suspension that you don’t really need. Perhaps you can buy yourself fast. It’s no bargain bike, but what you get for the money is, in my view, spot on. You might buy this because you’re fast and light anyway, but if you’re in the position to buy yourself a bit of weight loss, this is way more fun than liposuction. How can I use thee? Let me count the ways. Designed and handmade in California by a two-person team, this bag looks so simple and yet is packed with great features that have made me wonder how I managed without it (and makes me wish I’d thought of them). It’s a bar bag (that fits flat and curly bars), a camera bag, a handbag, a baguette carrier, a beer carrier… its uses seem limited only by my imagination. Hand made, well thought out. Its versatility may lend it to being used in many different scenarios, but it is its practicality that means I’ve found myself using it on ride after ride. 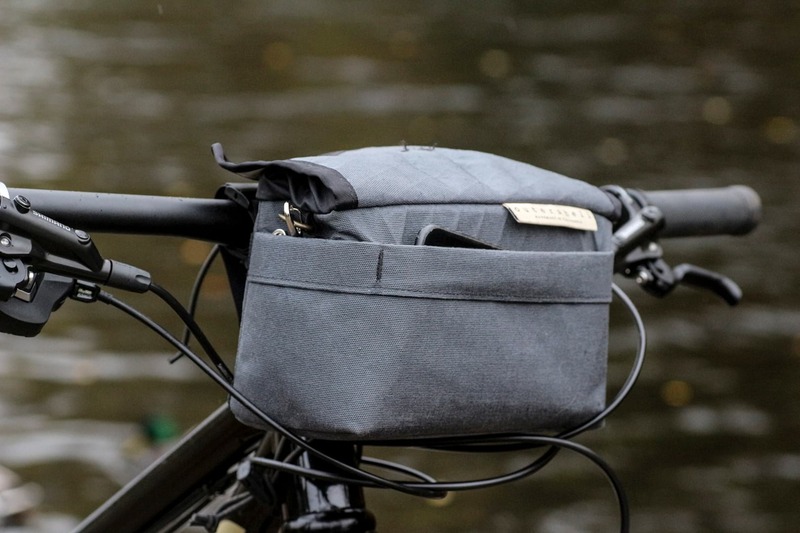 The ingenious attachment system makes it super easy to fit and swap between bikes – it’s no hassle even to remove and reattach the bag for a quick café stop, and used with the shoulder strap it makes a great handbag for days out on the bike. It’s easy to open and close with one hand, making it perfect for snacks on the go, or – with the padded liner added – as a camera bag for taking photos mid-ride. There’s an outer pocket which, when the rest of the bag is quite tightly packed, is perfect for slotting in a phone – perfect for the avid Instagrammer. Additional side pockets take care of snack bars or other small items, and if you want to go full adventure you can get a harness to combine it with carrying a stuff sack of bulkier items. It’s so simple and so easy to use, and it just works – making it a real pleasure to have. I’ve only fairly recently managed to get along with contact lenses, which means I’ve previously been denied the joy of being able to see when the sun shines. Having overcome this obstacle, I’ve become something of a sunglasses fiend and discovered that, like shoes, you can match them to your mood and outfit. Plus, they’re a great way to make you look cooler than you actually are, right? 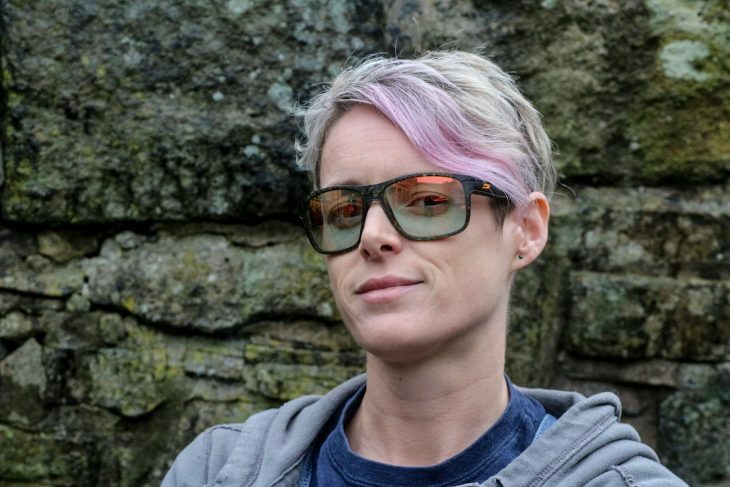 The Julbo Renegade glasses don’t just make me look cool (and I’ll fight anyone who says otherwise), but they also keep both sun and grit out of my eyes. They’re super comfortable, meaning I can happily wear them all day without noticing they’re there. 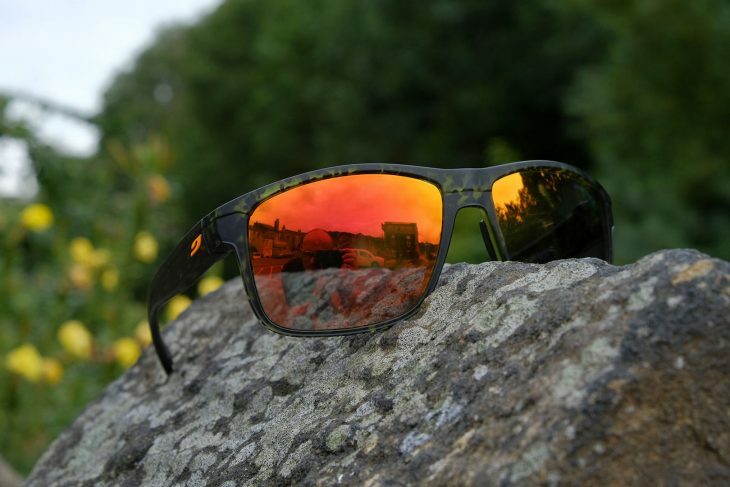 In fact, thanks to their photochromic lenses I’ve often found myself still wearing them indoors, or at night, which I suppose might tip me over from ‘looking cool’ to ‘trying too hard’. The mirror lenses are great in conditions from low light right up to all but the very brightest white mountain light, where you might want something darker. 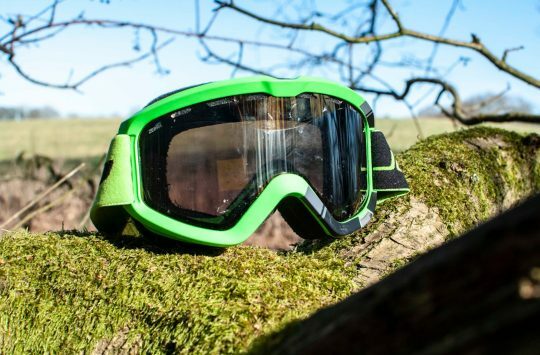 Perhaps most importantly for much of my riding, their anti-fog properties are excellent, meaning they’re great for the sort of sweaty, humid (a more appealing word for ‘damp’) riding I encounter in the Calder Valley. Mirror finish lenses for insta-cool. The clarity on the lenses is incredible, and really makes me question why anyone would want to go for a more pricey option elsewhere. 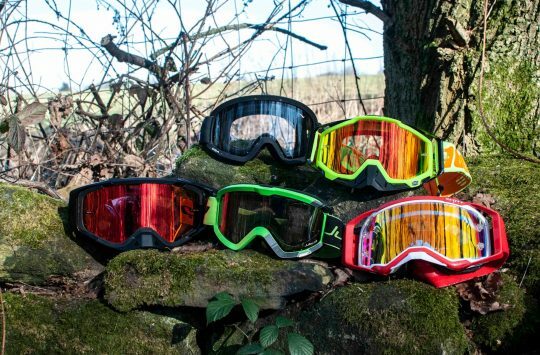 Apart from the darkest depths of winter and night riding, these glasses meet my needs for almost all my riding and hanging around at the beach/in a beer garden/in daylight scenarios. The only problem is, they’re so good, I don’t need any other sunglasses now. Dammit. The moles had played havoc with the fairway. This new venue on the UK trail centre scene fills me with a bit of a warm glow. 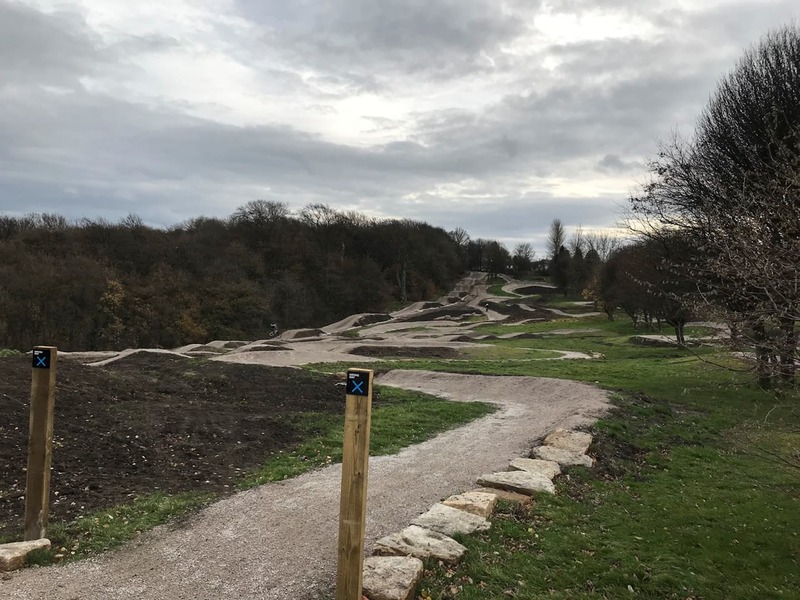 It’s a project delivered by Leeds City Council, who has turned a former golf course into a free to access bike playground. With a great café, a pump track, a BMX track with multiple lines, plus a selection of mountain bike trails, it’s now a playground for people of all ages and all kinds of bike experience. Head along there any day and you’ll see a huge mix of people from all different walks of life riding the trails. Forgive me if you like golf, but this seems like a much better and more equitable use of public land and money. The woodland area incorporates routes previously built somewhat unofficially, and they’re really beautifully done, creating a trail that can be rolled by novices or hopped and popped by better riders. The descent makes the most of the gradient available while the climb back balances distance with incline to give something that won’t have your children complaining too loudly, but offers a bit of fun for the keener adult. For the really keen adult there are some decent sized drops and jumps, but there’s plenty of fun to be had for even the smallest riders. Fun for all ages and wheel sizes. 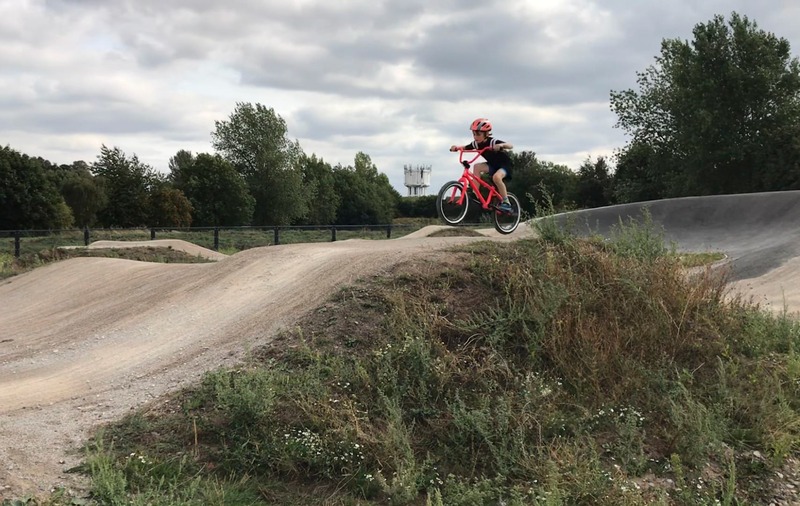 I’ve spent many happy hours here this summer with my children, we’ve all progressed as a result – everyone has got at least one wheel off the ground – and it’s now our go-to location for family rides. I’m a huge fan of councils providing pump tracks in easily accessible urban places, and this is even better. Wouldn’t it be great if we saw a few more sites like this created in and around our cities? Totally agree with you regarding Leeds Urban BP. What an amazing place! Seeing so many families riding round together was pretty inspiring. Really looking forward to seeing it expand. I think it should really help bring on future generations of riders, the scope for progression there is incredible. 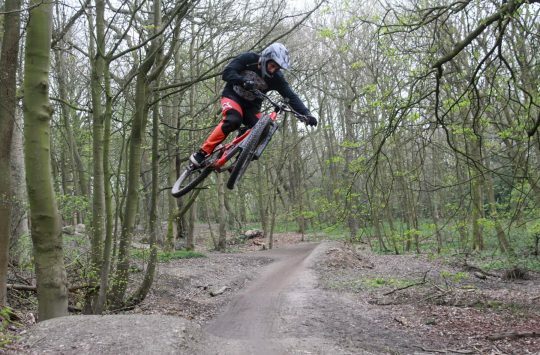 Leeds Urban Bike Park, one word, MINT!! 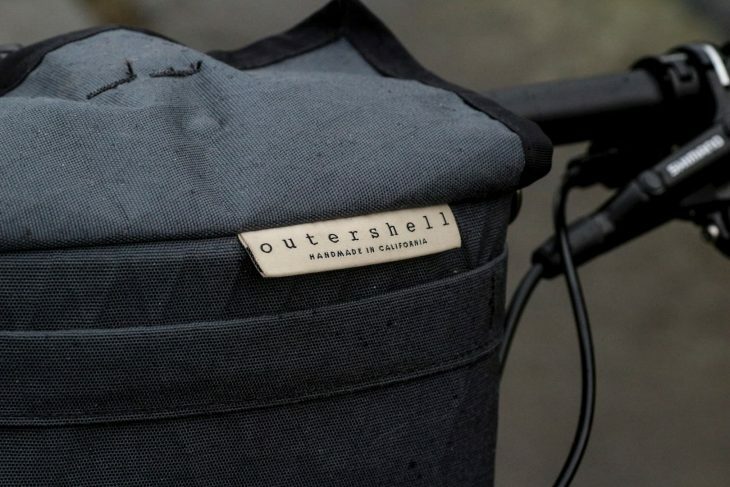 is anybody importing the outer shell bar bag? looks a great bit of kit but buying it direct from outer shell is kind of like wow! you’re not serious, surely? expensive.